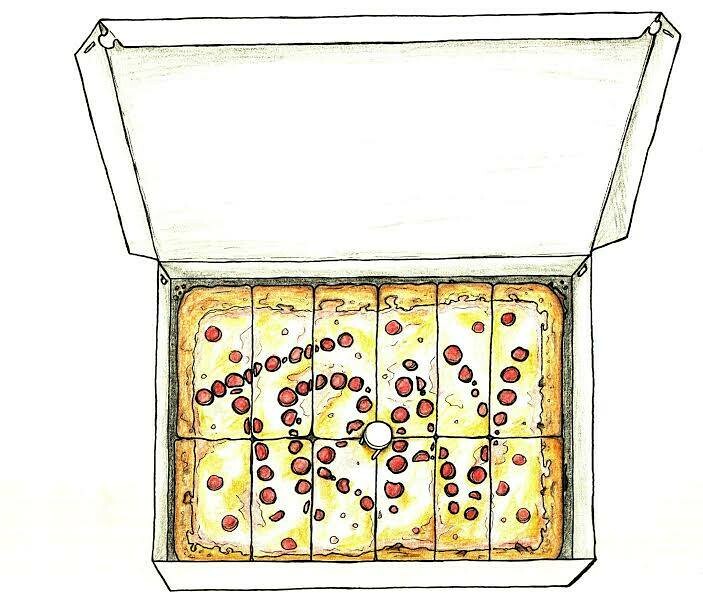 In Northeastern Pennsylvania, pizza is curiously ordered by the “tray,” not the pie, and that’s not the only thing unique about the area’s relationship with the cheesy Italian dish. 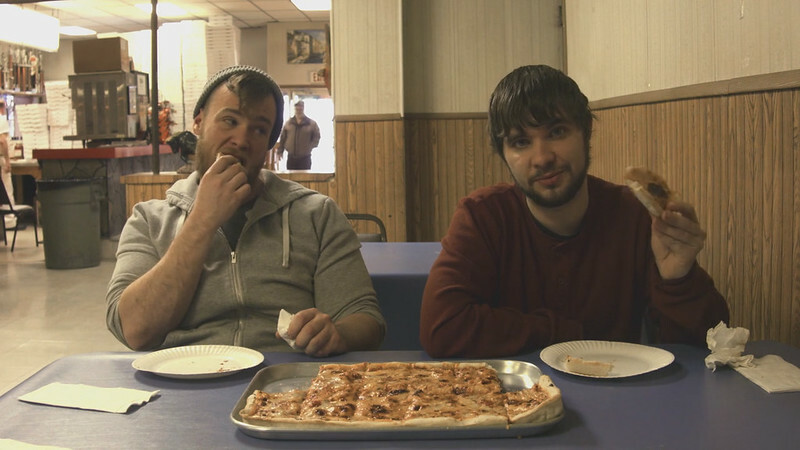 Growing up in Scranton, Jeremy Saltry and Joey Dominick know just how ingrained – baked in, if you will – pizza is in NEPA culture, so the childhood friends and budding filmmakers are digging deep into the crust to discover why this meal is so important with a documentary called “Tray” – and they’re asking the community to chip into its production. With just two weeks left in their Indiegogo crowdfunding campaign, Saltry, the 28-year-old director currently living in Portland, Oregon, gave NEPA Scene an exclusive first look at the film, explaining what this project means to him; how pizza ties into religion, family, and history around here; why moving away gave him a better perspective of the story he had to tell; and which pizza shop he thinks is a “cut,” not a slice, above the rest. NEPA SCENE: How did this idea first come about? On an empty stomach? JEREMY SALTRY: This is something we have actually been talking about for a few years. While Joe was in film school in Philadelphia several years ago, we were always writing. I remember looking at Joe during one of our writing sessions and saying the words “pizza” and “documentary.” I vividly remember we both immediately knew what that meant with no further words needed; we both just understood. It was something I won’t forget. NS: Why pizza? What makes this a good subject for a movie? JS: Why not pizza?! Everyone loves pizza. It truly does bring people together. Pizza, in a way, is a communal food inherently just by the way it is served. It comes out as something whole and is then shared. Think about when you get your tray and how everyone drops what they are doing and comes together over a box, excited for what is to come. Nothing else really matters at that moment, just pizza. That’s really cool; it’s genuine. NS: What makes this subject so important to you personally? 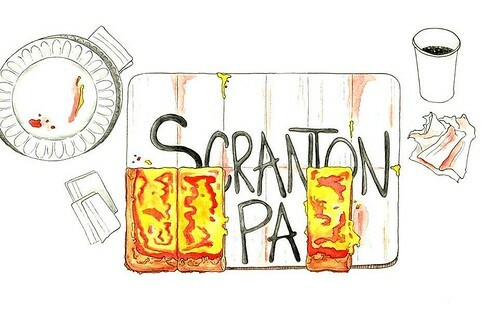 JS: I have so much love for Scranton. I am so proud of where I came from. Scranton has really made me the person I am today. I draw much of my creativity from Scranton and my experiences there. There is nowhere else in the world I would have rather grown up. It has taught me the value of hard work, the true meaning of pride, and what community really means. NEPA is an area rich with history and tradition. As Scrantonians, we have a really unique and humble story. I want to show the world what I see – the beauty of our area and who we are as people. NS: Is this your first film? JS: No. It is our first documentary, though. While Joe was in film school, we had an incredible amount of resources at our disposal. For years, we wrote, filmed, acted, and directed many short films. It gave us a great foundation. After leaving Philadelphia, still inspired to pursue directing and filmmaking, I moved to Portland and, shortly thereafter, met a fellow director from Los Angeles. We started a creative agency focusing on cinematography and, through hard work, have seen some great success. We were fortunate enough to have just shot Twitter’s marketing campaign, which was a really great experience. I am also fortunate enough to have been involved with many narrative-based projects and films within the Pacific Northwest. NS: As you both live in different cities outside of NEPA currently, did that help give you a different perspective on this subject coming into it? JS: Without taking a look at this from an outside perspective, I would have never even connected the dots on this story. Pizza is something so deeply ingrained within our area. It’s not necessarily something we take for granted, but it’s just a part of life. When I first moved to Philadelphia and was out and about, I would be somewhere and say, “Let’s get a tray of pizza.” People would look at you weird; they never heard that before. Then that’s when I started to realize just how special our area was. NS: Why did you decide to crowdfund the movie? JS: We made it a point to have this project be about community. The amount of support so far has been more than I imagined. I really feel that just as much as there is a great story to be told about pizza, a city, and people that there is just as much of a story about how this project was brought to life. NS: How have people reacted so far when you’ve told them that you’re making a movie about local pizza? JS: With excitement and enthusiasm. I’ve seen many people’s eyes just light up. Pizza brings people together. Everyone likes pizza. I can honestly say there is just as much enthusiasm on the West Coast when talking about this project as in NEPA. It’s really inspiring. NS: You mentioned in your Indiegogo video that culture, tradition, and community are important parts of this story. Can you elaborate on that a bit? JS: As much as this story is about pizza, I truly feel, when it’s said and done, pizza will only be a part. 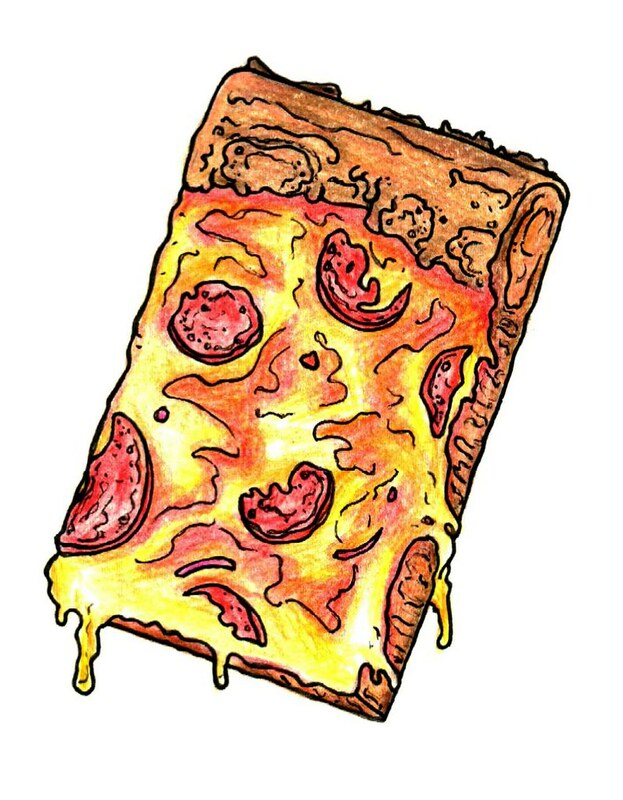 Pizza is almost a representation of our area, and it’s a great way to showcase a lot of themes. You have so many pizza shops that have fourth and fifth generation owners. They take so much pride in what they do, which was something that was instilled and passed down by their family to them. When I asked a few of the shop owners we were talking to during scouting why they continue to make pizza, what motivates them to keep doing it after decades and decades of work, they all said that they were part of something bigger. They are a staple of the community. They understand how their pizza brings people together. They almost feel obligated to keep going. Pizza within the NEPA area has to do with family. It has to do with community, religion, hard work, and tradition. Pizza is life. crowdfunding pitch at Maroni’s Pizza in Scranton. NS: What have you learned about pizza and the area so far? Did you learn anything that you didn’t know prior to starting the documentary? 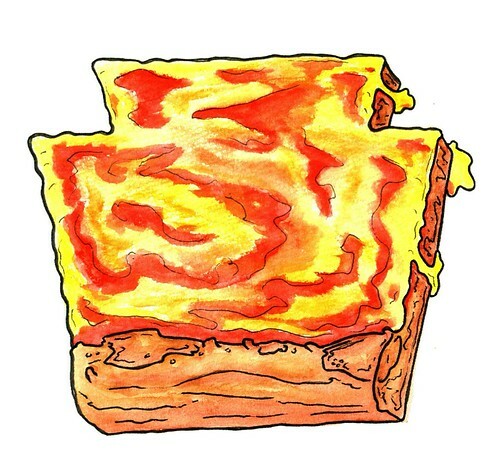 JS: The history of Old Forge-style pizza and how it became so prolific is fascinating. It’s a story we are still learning about and will be the entire time we are filming. I was also really taken back by how much care and attention goes into every tray regardless of how busy they would get. That was the common theme with every pizza shop – every single tray is the best one they can possibly make. Inspiring, to say the least. At Elio G’s in Old Forge, they make a limited amount of dough each day. They take a great deal of pride in what they create. People call sometimes days in advance to make sure they “reserve their dough,” as once they run out, they stop making pizza for the day. They run out quick. I’ve never really looked at ordering a tray in regards to reserving your dough. It was a really cool perspective I never even considered. NS: Do you think people from outside of NEPA will be surprised to learn how much pizza means to the area? JS: I think people will be blown away. I have this really unique perspective because I’ve been removed from it, but still understand it. It even seems people from our area don’t really think about what pizza means to them; it’s just there. People from other areas have no idea at all. I’ve been lucky enough to be able to kind of bridge that gap, bring the two worlds together. I really feel that just as much as people from around the world will see what our pizza means to us, that people from our area will also step back and ask and reflect on the same question. It’s a beautiful thing. NS: Who will be interviewing in this documentary in addition to pizza shop owners? JS: Everyone. Since this is going to be filmed during Lent, we are going to be interviewing people with insight into how pizza ties into religion within our area, which is something really unique. I am also interviewing some professors in regards to sociology and anthropology to gain insight from a cultural perspective and really understand our area. I don’t want to give away too much, but trust me, we have some really great interviews lined up from many different parts of life. NS: What have been the biggest challenges you’ve faced so far in the making of this film? JS: Distance has been a little bit tough, flying back and forth, writing on the flights out and editing footage on the way back. It’s so much easier to think creatively and get good ideas going when everyone is in the same room, get a really good flow going, though that hasn’t stopped us. We have all learned to be really dynamic, which I think is great because it shows our professionalism and flexibility as a crew. If anything, it has made us stronger. I am looking forward to being able to sit down with everyone and work with the awesome team we have pulled together. I’m looking forward to making a really great documentary. 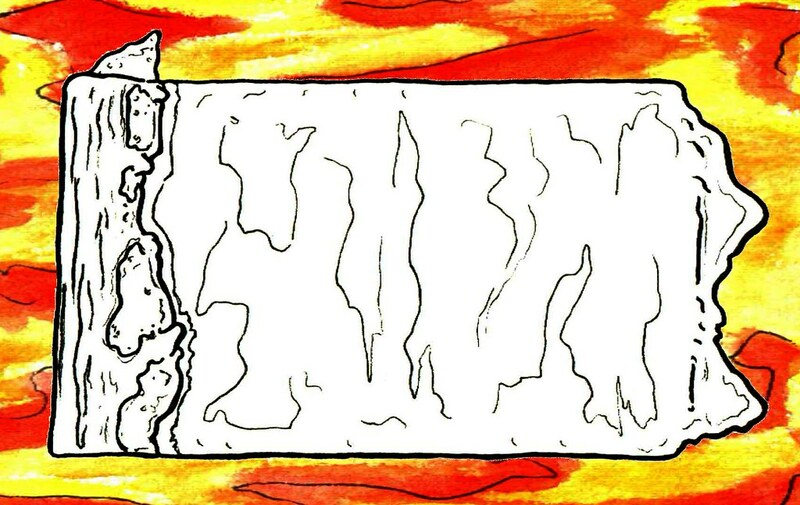 NS: Our Drunk Illustration Tuesday artist Brendan Howells has been contributing artwork to the project and the Indiegogo campaign. How did you meet and recruit Brendan, and what has his art added to the film so far? JS: We grew up with Brendan. We all became very good friends, as we lived a few blocks apart in Philadelphia. Brendan is one of the most talented illustrators I have met. I adore his style and work. He is the person more often than not that I call for feedback or to bounce ideas off of. I can say that his contributions go further than just his amazing illustrations with this project. He has been and will continue to be a source of insight and inspiration for this documentary. It was also really important to me to have everyone involved understand this story. From an illustration perspective, Brendan can use his experiences growing up in Scranton to create really great art. I feel like that is something not really possible from someone outside the area. He has been calling his drawing room “the kitchen” because he has been spending so much time creating two-dimensional pizza art, he said. I love it. NS: How much pizza have you consumed during the making of this documentary so far? JS: More than you can ever imagine. They always sent us home with a tray, so we were eating pizza for breakfast also. I know there was a day or two where Joe was at his limit in regards to pizza, and I was closely approaching. I never even considered that being a possibility. The one great thing was that with all of the shops we went to, we were always treated like family. They always fed us. They knew we were working hard. When they say eat, you eat. NS: It may be difficult to choose, but we have to ask – what is your favorite pizza made in NEPA? JS: I have a few favorites. It’s really a mood thing. I do, however, find myself at Maroni’s almost immediately after landing every time I’m back in Scranton. I love the vibe in there. Sit down, get a tray with your friends, and catch up. It’s kind of our thing. It’s a special place. NS: What about your favorite pizza topping? JS: I’m a pepperoni guy. It’s a timeless classic. 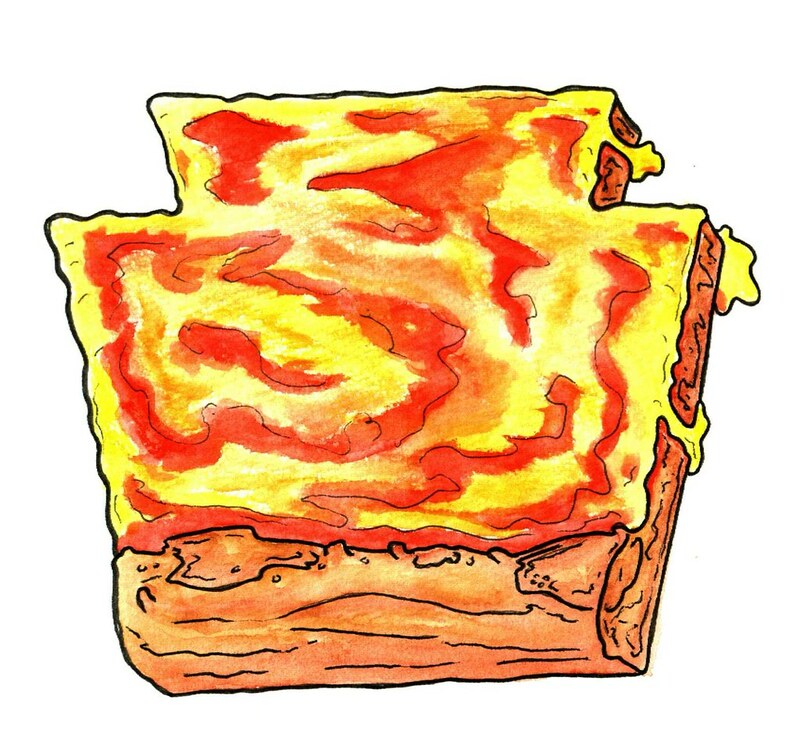 NS: What is pizza like in Portland? JS: Nothing like home. The one thing I can say is that there is great pizza here, and they really put emphasis on great ingredients and creating something unique. Nothing compares to our pizza. I’m literally hungry for some NEPA pizza right now, so thanks! NS: If someone has read this far and they were still on the fence about helping to fund this movie, what would you say to convince them? JS: We have an amazing team of people working incredibly hard to tell this story. Lindsay Barrasse was recently brought on as our producer, and she is also a very talented cinematographer, which adds another great level of creativity and professionalism to this. She has been working so hard to support arts and culture in Scranton, and I am very excited to work together on this documentary. She will bring a great energy to this project. This story needs to be told. We are doing everything possible to make sure that it will be told and the right way. We can’t do it alone. We need to work together. JS: Everyone is wearing many different hats right now while we are fundraising and just doing an amazing job. I want to thank them. I also want to thank you for taking the time to read this and, hopefully, we can work together to tell this truly amazing story – our story. Support “Tray” with a donation starting as low as $5 on Indiegogo and follow the filmmakers’ progress on their website and Facebook page. Great idea for a documentary. I noticed they got to shoot a lot inside Maroni’s. Wonder if they got any interviews with Lou Maroni, the original owner. Great story there. You’re missing out on stories, like how me and my buddy used to eat a tray apiece of Revellos. And the look on the waitress face. We can tell you good stories of La Festa Italiana. There’s better stuff you’ll miss out on. Great. A documentary about the most revolting pizza on earth. They use everything in Old Forge style pizza from cheese sauce to low-grade mozzarella to American cheese! Plus it sticks to your teeth like pizza from your grade-school cafeteria. 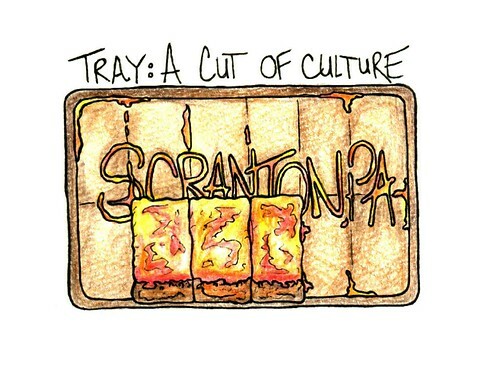 It’s really no surprise a backwards, insular, culinary wasteland like Scranton would worship such garbage, let alone consider it pizza in the first place. Sounds like you tried only one [maybe two] pizza joints in an area of about 50. Unless you were a fool and ordered, “Old Forge Style” pizza. Or your faux-superior attitude killed your tastebuds. You just can’t have everything. Bravo! Its about time someone saluted the regions unique style. I was raised in NEPA, My mom moved us to Southern California when I was a sophomore in H.S. Many stops across the country along the way before landing outside of Portland Or. & I have never escaped the Jones for NEPA pizza. (or wings for that matter, also something that is COMPLETELY different & MUCH better in NEPA!) No where in the country compares to that Northeastern Pennsylvanian. combo of sauce, cheese & crust! I find myself always talking smack & comparing no matter what. I applaud you for making this doc. and will share this link w/ my friends on FB. I look very much forward to viewing the final product. (Just the visuals in this clip made my mouth water! In the rest of the country that is called Detroit style pizza. Are you really going to make a move about a sub-par ripoff? Yea if me made our pizza in a deep frying pan and filled it with oil then maybe it might pass a song Detroit style… but this is old forge style so get that right my friend! Yeah, that will revitalize the local economy and bring jobs back to the area. 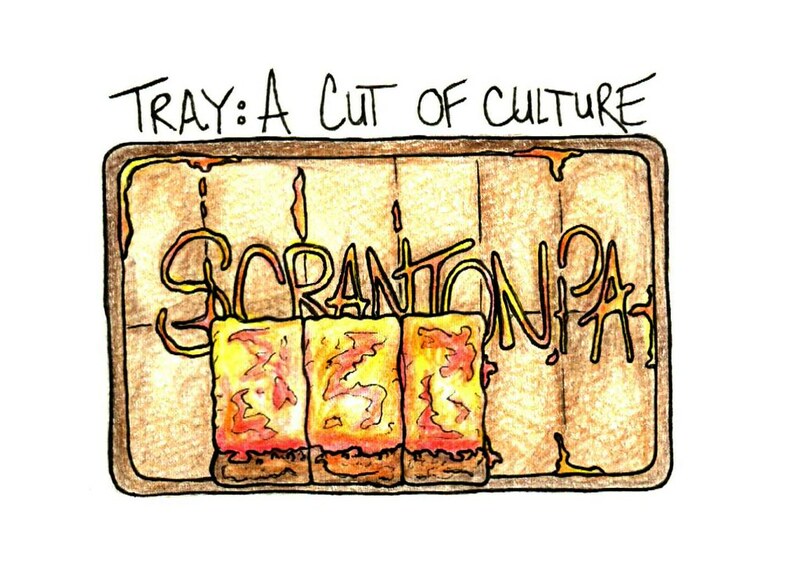 While the WB/Scranton area does have the most wonderful pizza made in trays (it needs a tray to fry it), we do not exclusively use trays. The NY style pizza pie is and always has been very much alive in the area, and probably still outsells the trays, believe it or not. I am a tray guy though. Old Forge style pizza is not synonymous with tray pizza. 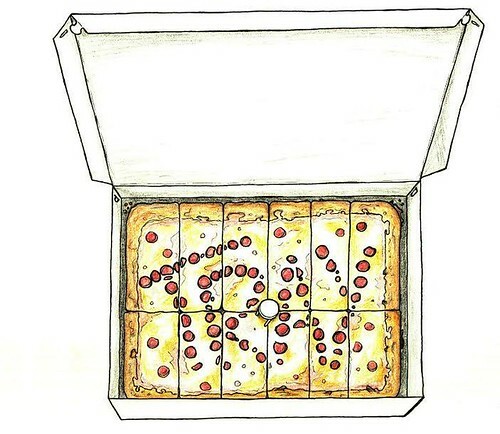 Most of the really good tray pizza is not like it and is superior to it in my mind.